A queue could be seen emerging from the door as we approached the restaurant down the side street on which it is hidden. Mangal does have a takeaway service, but the queue was made up of people waiting for seats. It says something about its legendary reputation that, amid London’s densest concentration of Turkish restaurants, people are prepared to queue to squeeze past the takeaway counter and be crushed into a plain, grey-tiled café where they will have to endure curt service. There are no menus, so we chose our dishes from the stacks of raw kebabs on display at the front. Basic starters such as houmous and lentil soup are often available if you ask. Our grills were wonderful, though no longer exceptional – quality has not fallen, but the competition has caught up, particularly in the provision of starters and other comforts. 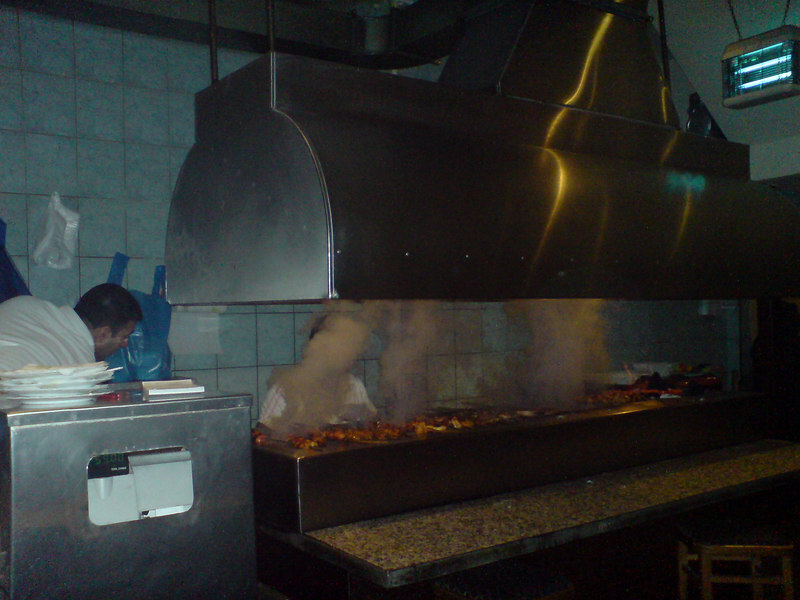 Unless it is midwinter, diners are better off seated away from the heat of the fiery grill. Still, it doesn’t do to be uncharitable. All fans of Turkish food (other than vegetarians) should visit Mangal at some point.